Hitting the slopes is an experience like no other – crisp air, fresh snow and the vast excitement of freedom that skiing offers. There are no limits, improving your own achievements and having great fun are the only things to be concerned with. However, this fascinating experience is impossible when the only thing occupying the skier’s mind is not having one of the best ski jackets when it’s freezing cold, chilling him to the bone. 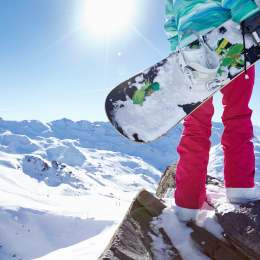 Luckily, there is an easy solution for that problem – choosing one of the best ski jackets. The task sounds like a breeze, but with the numerous companies that offer winter jackets, choosing the warmest and most comfortable one can often be a struggle. Well, struggle no more – here are the 10 best For 2018/2019. This classic, navy blue jacket, has a myriad of nifty features. First of all, having nowhere to place lift-cards, hotel keys, phones and so forth is no longer a concern, as this jacket has countless pockets, large and small. The mesh backing makes this garment very breathable and comfortable, while the YKK system repels water at all costs. 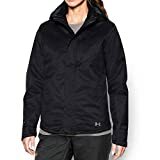 The fabric is four-way-stretch, which makes the jacket very durable and the hood is removable, so there are more options to choose from. A great classic with a new twist. 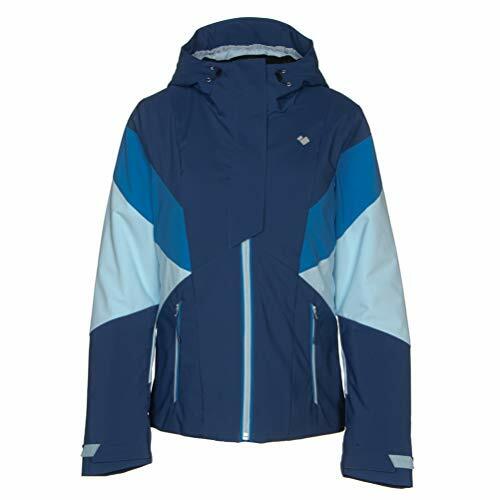 Certainly one of the best ski jackets, for ladies who know how to rock the slopes. It is made out of a waterproof stretch, which means that no moisture can ever penetrate its warm embrace. 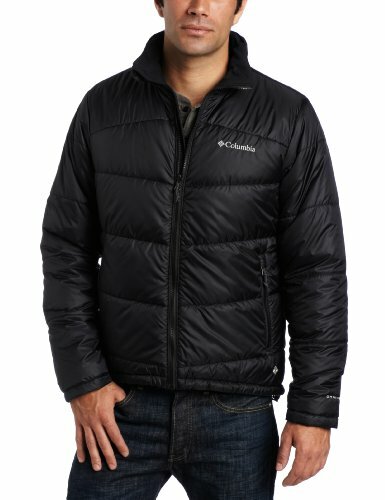 The Primaloft insulation makes this jacket a cozy heaven, perfect for cold weather. It also has numerous exciting features such as the scratch-free goggles cloth, fleece-lined collar, hood perfectly compatible with a helmet and great fabric ventilation. 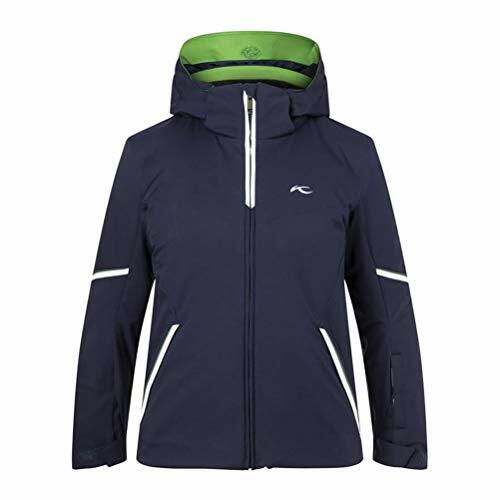 Additionally, this garment has a Dri-Core breathable lining, so it feels comfortable even when the sun shines on the slopes. The sleek white design is the perfect finishing touch. This form-fitting sleek jacket is the perfect option for skiing ladies who would like to combine stylishness, functionality, and warmth. Even though it has a great silhouette, this jacket manages to fit in all kinds of nifty pockets, from inner stash ones to hand zipper pockets. Moreover, this jacket is incredibly durable and super warm. Some extra awesome features are the removable powder-skirt, lycra cuffs, and snap-in pant connection. This jacket is a light blue ointment for any weather conditions, no matter how harsh. 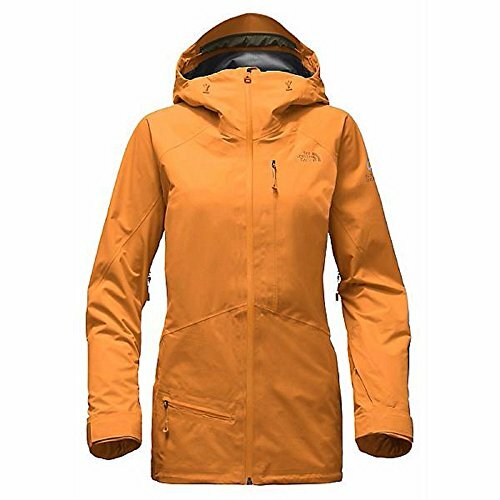 It is constructed out of two layers, both waterproof and breathable, with an extremely warm and cozy inner shell. Spending time in the mountains has never been so comfortable. Naturally, the jacket features some great pocket options, such as the inner media pocket, but it has some other great qualities as well. Those include the soft brushed collar lining, zip-off sturdy storm hood, and PitZips technology for great ventilation. 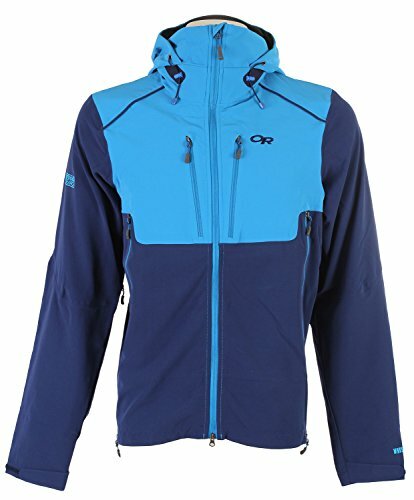 A great jacket for those just starting to ski, as well as professional athletes. 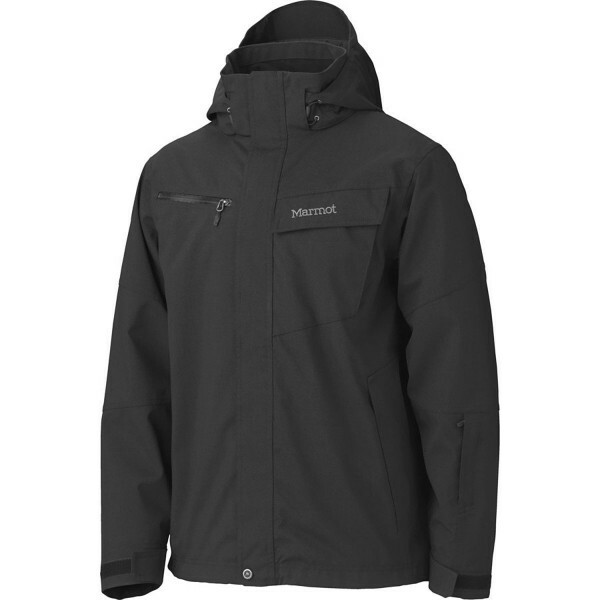 It features a three layer Gore-Tex Pro material, which has some undeniable qualities, such as extreme warmth and durability. This is a garment that lasts a long time and easily survives any skiing struggles. The sealed seams mean that no moisture can ever spoil the experience while providing great abrasion resistance. Not only does this jacket have a great, super fun design, but it also features convenient pockets and an adjustable hem. 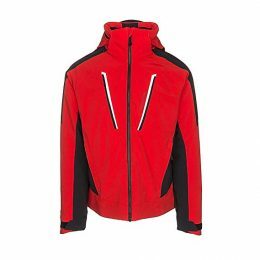 This is a bright jacket, that makes the skiing experience, even more, fun and exciting. It is budget-friendly and offers some amazing features for the price. 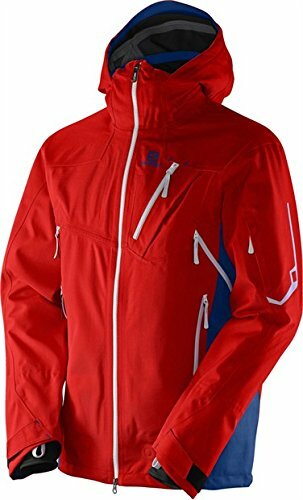 The inner layer is breathable, stretchy Gore Windstopper X-Fast, which is a truly fascinating material that will protect you from any whims of the weather. There are hem to armpit zips that make this garment very comfortable and breathable, not to mention that collar that keeps all the moisture away. A true collaboration between retro chic and comfort has formed this great jacket. This jacket’s design has been executed with a strictly no-nonsense policy in mind. There is no bulk, and pockets are not overflowing. Rather, there is a central one that fits a myriad of items. 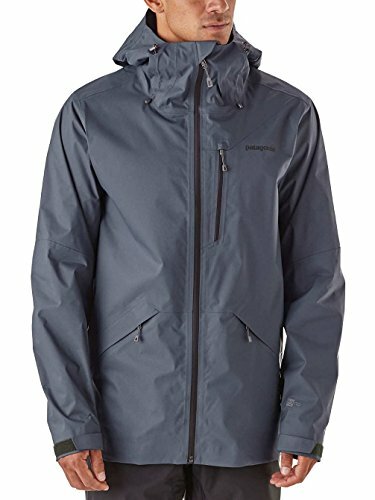 This is not a complicated jacket with countless features but is rather straightforward and functional. One of its key characteristics is the retro flair – a great way to make a spirited fashion statement on the slopes. Additionally, it is extremely affordable, which in no way affects its warmth-providing qualities. The body temp trapping Omni-Heat layer ensures extra coziness even in the coldest winter days, while the Omni-Shield barrier is water and stain resistant, making this jacket one resilient trooper. It also features a safety pocket and a storm hood. 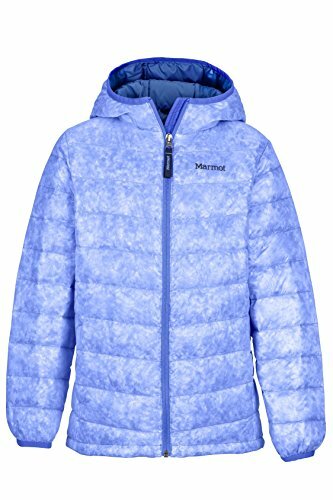 Marmot has a strong tradition in designing great ski jackets for children. 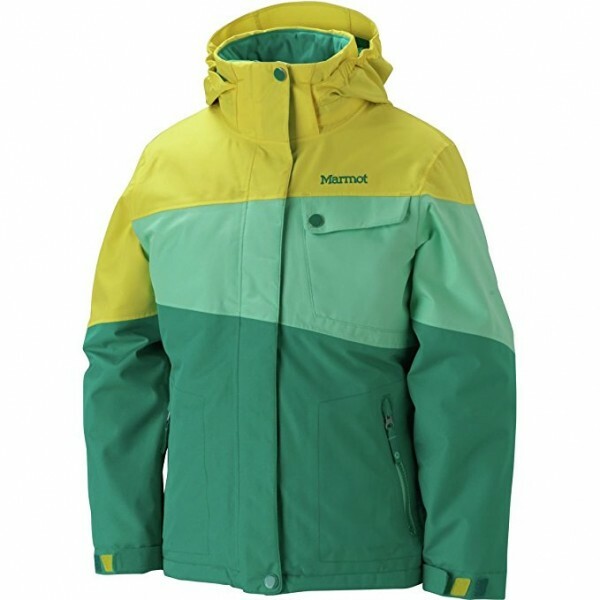 This jacket will make your kids jump with joy and ride the slopes as hard as they can. It is warm, functional, easy to maintain and super resilient – all very important features when it comes to boys’ jackets. The brushed tricot collar and shoulder lining make this garment extra comfy, while full insulation and powder skirt make it warm and functional. Parents will be happy to learn that this jacket is machine washable, so it is very low-maintenance. The perfect jacket for your skiing girl. It is very lightweight, with girls’ comfort in mind, but in no way is that compromising the warmth. This jacket will keep the winter chill away and will allow your child to really enjoy the slopes. The garment also features plenty of useful pockets, as well as a removable hood and allows for angel-wing movement. It is also super easy to maintain, as it is machine washable. 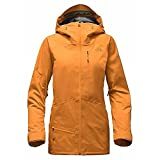 Figuring out which are the best ski jackets is not an easy task, especially when trying to combine stylishness, comfort, warmth, and durability. 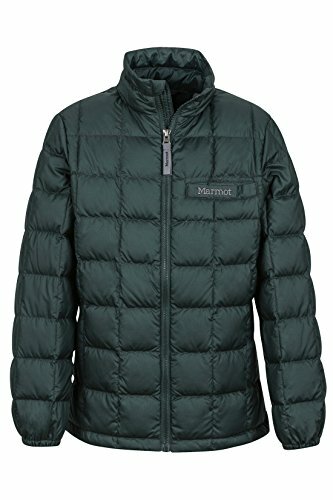 There are many jackets out there, which look really well but don’t provide quality protection. On the other hand, many supremely warm jackets just don’t look good. However, the 10 described above combine it all and make for some amazing winter gear.